With instant coupon at TrendMicro.com. Trend Micro send us this instant coupon to share with all SoftwareVoucher.com visitors: Just follow the above link to get 25% off your configuration of Maximum Security 10 (that’s the 2016 edition). And when you order from them directly, you have the option to enroll in their auto-renew program so your protection will keep on going once it’s time to extend your subscription. Best of all, you’ll also qualify for a free upgrade to Trend Micro 2016 once it’s released in mid-September. at Amazon, Trend Micro’s top reseller. It’s no wonder that Amazon is Trend Micro’s top reseller – With their razor-thin margins they pass the savings to customer. You can now find Titanium Maximum Security on sale for up to 53% off the list price. That means you’ll pay under $43.00 for for the 3-license version (you’ll be able to install the license on up to three PC’s). You will also get free ground shipping within the United States (3 to 5 day delivery wait time on average depending on your location) as long as your total order is above $35.00. Sale prices will vary daily. Loyalty discount from Trend Micro. If you’re already using Maximum Security or one of Trend Micro’s other computer security programs and your license has just expired, then you will be able to qualify for their renewal discount. All returning customers are entitled to 30% off an extra year of protection. Some have reported slightly larger discounts but it will vary depending on the version that you are currently running and the number of licences that you need to purchase. All the details of this offer are posted in the renewal center in the Trend Micro help section. Must be a returning customer to qualify. Price match guarantee at Best Buy. We all know that 9 out of 10 times software is simply cheaper online than at your local store. But few know if that many traditional shops now price match to their fiercest competitors. So if you decide to head down to your local Best Buy, Staples, Office Depot to any other store in-town, then be sure to see what their price-match policy is. Our favorites are those first three stores that we listed as they will often bring their sale price in line with Amazon who often has cheapest price. There is usually a limit of one copy per customer when price matching. Just keep in mind that not all stores have the same policy so check with the associate on staff for more details. Download & Try Maximum Security Free! Try Trend Micro 2016 for free. 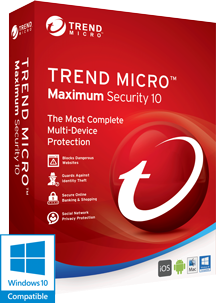 As with most software companies, Trend Micro also has a free 30-day trial available for the 2016 version of Maximum Security. If you haven’t run their programs on your computer before then you can select any of the newest versions and try it out for free. Once you have it installed, be sure to run a full computer scan to clean any junk that may already be on your system. 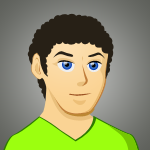 Any viruses or malware found by the program will be deleted or quarantined. Then once your trial expires after a month, simply purchase a license key to extend your coverage for 12 or more months. Trend Micro 2017 Release Date Alerts! Signup to our release date notifier and we will let you know as soon as the 2017 versions of Trend Micro Maximum Security are released! When will the 2017 versions be released? We’ve been monitoring Trend Micro’s releases for the past few years and don’t expect the annual cycle to change this time around. Be on the lookout for Trend Micro to release Titanium Maximum Security 2017 in mid-September, 2016. If you want more details, we’re watching all of the latest late-breaking news and rumors. You can also sign up for our release date notifier list (located above) if you would like to be notified the moment that it becomes available. We got more Internet Security deals! Has a deal or offer expired? We try hard to keep all of these deals a fresh as possible but there’s always a possibility that a deal, link, or offer will expire or stop working before we can catch it. That’s where you come in. Please take a moment and let us know what’s working and what’s not. We check all the emails that come in to us about a zillion times a day and will take the information that you provide to investigate the issue. Sometime it’s as simple as user error (i.e. the promotion code was incorrectly copied) and at other times it’s because an offer expired earlier than expected (this usually happens when the units allocated to the sale are sold out early). Either way, please let us know and we will do our best to help you out.